Roof racks, inflatable or otherwise, are not something we think about very often here at AvailablePitch. 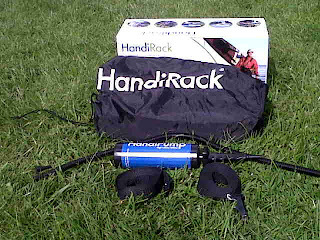 However, when Handiworld asked us to trial and review their innovative HandiRack inflatable roof rack, it was too good an opportunity to miss. The concept is simple - a temporary, lightweight, portable roof rack system that fits most cars (except soft-tops). It sits neatly in your boot of your car ready to use whenever you need it. With a HandiRack on board, there will be no more coming out of Ikea with a trolley load of stuff and thinking "oops". It is extremely quick and easy to assemble and all the parts fold down into it's own branded small drawstring bag. 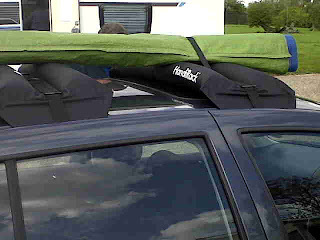 Supplied are two inflatable roof bars, two strong straps for securing the load, a small hand pump and full instructions. However, it is very intuitive to use, should you lose the instructions. 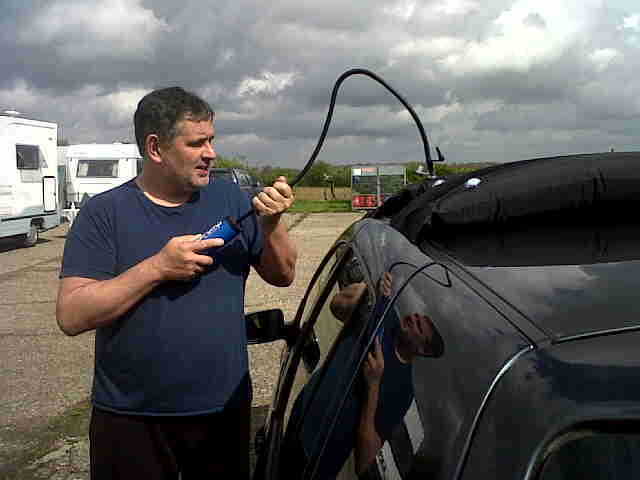 What is most important is that you do not inflate the bars until they are correctly positioned on the car roof. 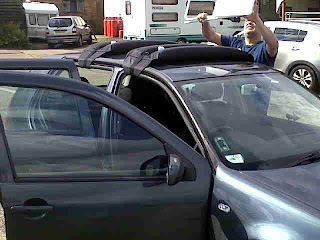 To fit the HandiRack, open the vehicle doors, position the roof bars in place and join the two ends together inside the car. The straps are thin enough for the doors to close easily once in place. The same procedure is repeated through the rear doors of the vehicle. Then, and only then, do you inflate the roof racks. This is extremely quick process using the supplied hand pump, taking only seconds to inflate to the required pressure. 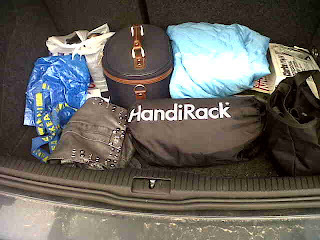 The HandiRack is then ready to load. Two, three metre HandiStraps are supplied and there are five "D Ring" anchor points on each bar to facilitate easy loading. 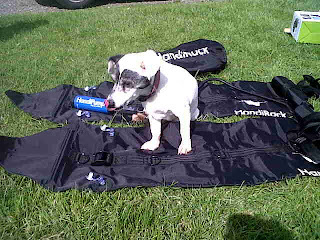 For our review, we tested a camping table and a rather heavy rolled up windbreak, both of which sat easily on the racks. The manufacturers state that loads in excess of 50 kg can be transported, depending on the individual specification of your own vehicle. 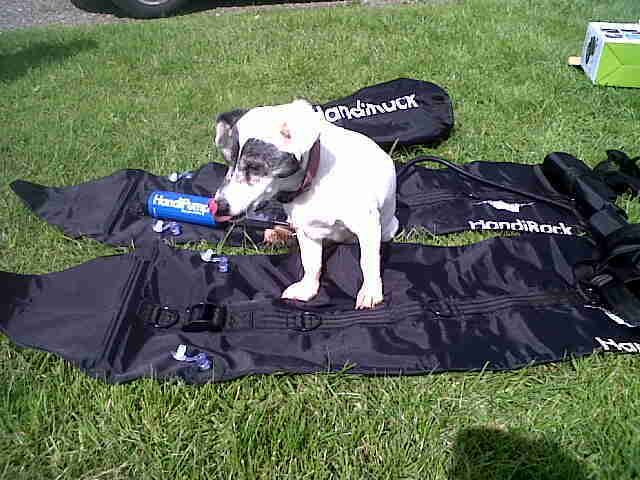 Once you have transported your load, the HandiRack is easily removed and deflated quickly and packs away in it's own bag, ready for next time. 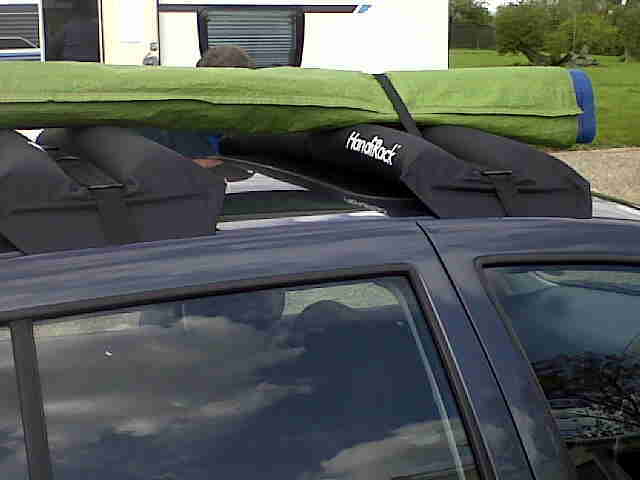 Before trialling the HandiRack, we were unsure about how effective and robust an inflatable roof rack could be. However, our conclusion is that this is a quick, practical and convenient temporary solution to transporting heavy and awkward loads and seemed extremely sturdy in our trial. They retail at just £54.99 (as at May 2012) which makes purchasing one affordable. It would also be a most welcome gift for the hard-to-buy man in your life (as verified by Mr AP). 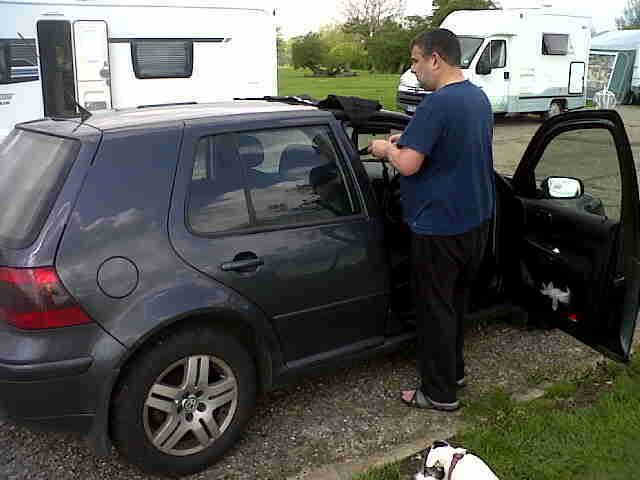 The HandiRack was tested and demonstrated an AvailablePitch mini rally over a Bank Holiday weekend in May 2012. Comments from caravanners and motorhomers who wandered over to have a nose at what we were doing, were extremely positive, with most not being previously aware of this product and very interested to see one in action. 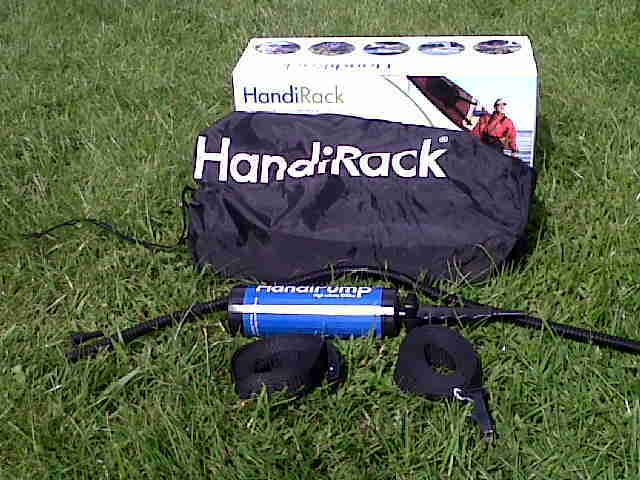 Would we recommend the HandiRack? Yes! Would we buy one ourselves? Absolutely! It is important to ensure that all items loaded onto roof racks are tightly secured for both your safety and the safety of others on the road. Use lashings and clamps (that are securely attached to appropriate anchorage points) to hold down items. Really amazing HandiRack!! When someone is traveling it will be very useful.. I would love to own it! Have you grabbed your Twitter name yet?